Reliability and safety of household electrical appliances are composed of a variety of factors. In particular, the functionality and durability depend primarily on the quality of components. Originally, it’s not worth saving on such things, because in the future, it can be very costly. Electricity resources used by mankind for a long time and quite intensely. But we should not forget about the dangers that lurk in the violation of rules of use of these benefits of civilization. It is better to prevent possible troubles beforehand, equipping household appliances, including thermostats, with the special accessories. Today we will take a closer look at thermostat cover plates, which can be found in stores in large quantities and variety of colors and shapes. The thermostat cover plate is not only the fastening element but also acts as a final designer of the entire object. Changing the shape or creating a special appearance of a simple electric mechanism is possible precisely by using a thermostat cover plate. 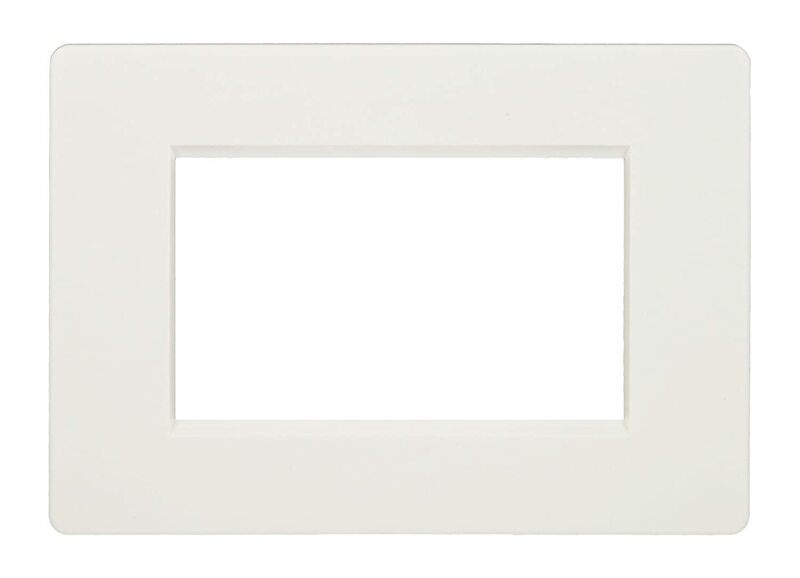 The cover plate surrounds the panel of the thermostat mechanism and imparts integrity to the entire item. Moreover, it will help to protect wallpaper or wall coverings against pollution. The frame is mounted under the unit and expands the area of interaction with it, at the same time not allowing the fingerprints remain on the wallpaper or wall coverings. As an example, let us consider in detail three different options of thermostat cover plates. 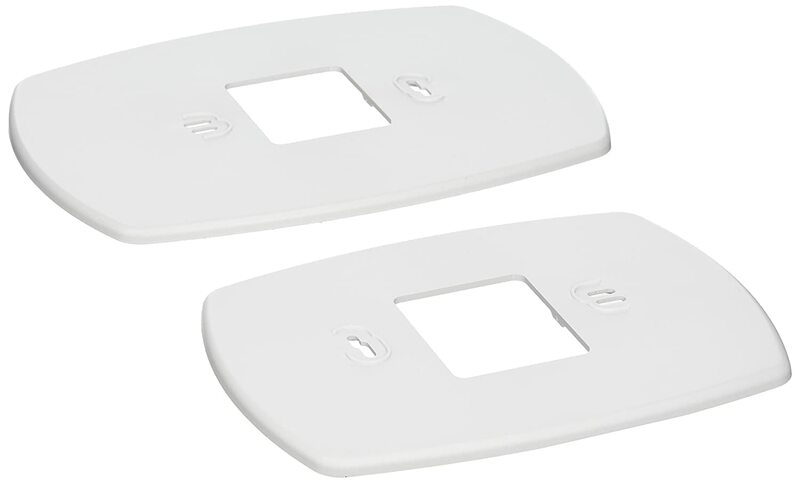 Honeywell 50002883-001 Coverplate is made of high-quality plastic and does not require any additional care measures. The bright white surface of this thermostat cover plate will not fade, be covered with cracks and scratches, and even in a few years will look like a new one. Among the obvious advantages of this item is its large area of cover. 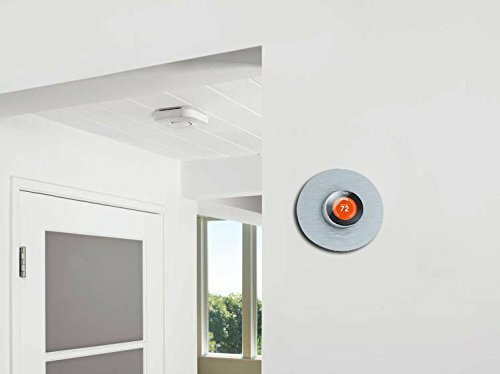 So the user can install it with the first thermostat to protect the wall coverings or can use in case of thermostat replacement – the cover will hide wall imprint from the old unit if the new thermostat is smaller in size. As for the compatibility, Honeywell 50002883-001 is excellent for Honeywell Focus PRO 6000/5000 and PRO 4000/3000 thermostats, for example, such models as G0976376, G3421783, G3068712, G0251133, G2353522, and G0433422. Emerson F61-2663 – a product that is designed to protect exclusively Sensi Wi-Fi thermostat from the negative external effects. 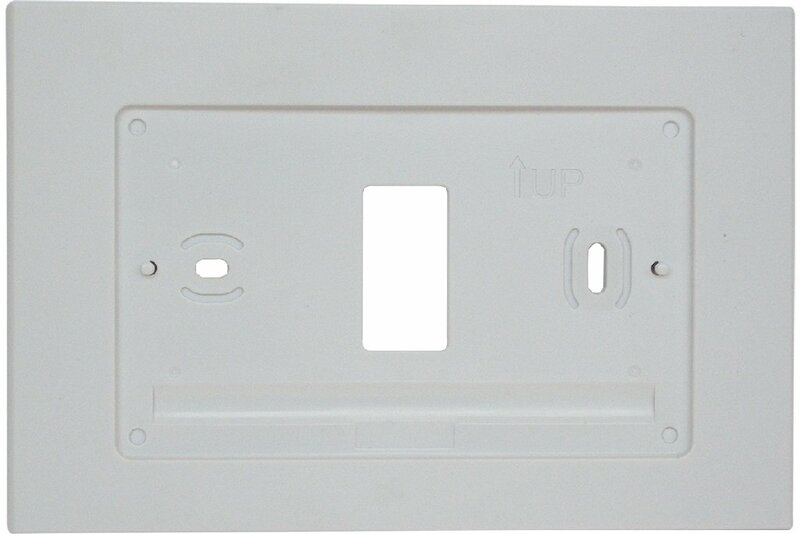 This thermostat cover plate can be used both with and without the horizontal junction box, so it can be considered as an advantage. The white color of the cover plate is exactly the same as the color of Sensi Wi-Fi thermostat so that they combine perfectly. Along with that, the ease of installation and affordable price are another advantageous features of this thermostat cover plate. – excellent quality at a low price. The manufacturer states that this thermostat cover plate can’t be used with LUX TX9000TS, but it is excellent for TX500U, TX1500U, TX9100U, TX9600TS, and TX100E.